The development of the virtual reality room have had many purposes and functions. 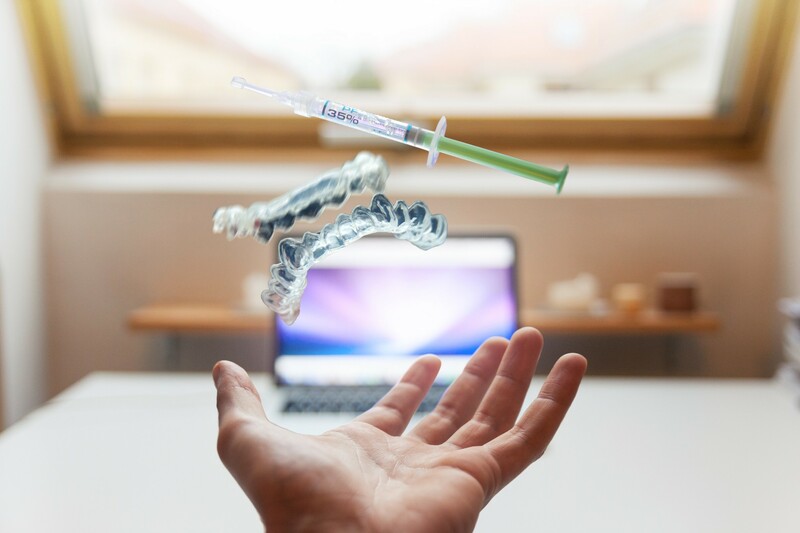 However, the medical sector is always a continuously improving and the need to innovate with Medical Technology (MedTech) is a priority for the future. Senior Minister of State for Trade and Industry Koh Poh Koon has estimated the market size to grow 8% Year by Year. (Read more here) While different industries needed to work together to build a brighter future, we finally got our hands on a project that was one of a kind. 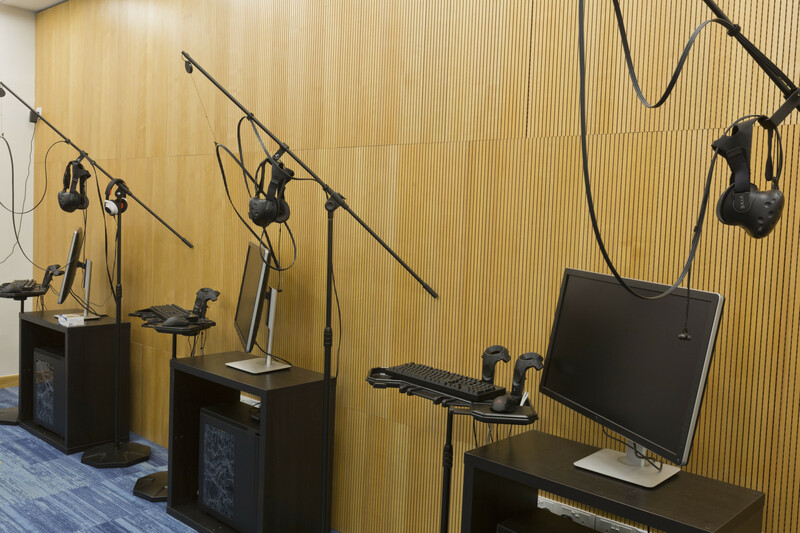 A Virtual Reality room at the National University of Singapore (NUS) MD 6- The Centre for Translational Medicine. The purpose of this room was to allow students to test their skills using Virtual Reality to study the anatomy of the body with cool gadgets which included a hand-held scanner which portrayed the human anatomy along with a pair of VR goggles that is paired with the computer. Soundzipper were directly engaged by Forum Architects due to our unique expertise in the acoustic consultancy market. Some of the challenges in the project included the same reutilisation of the current air-conditioning system and the pre-existing glass facades could not be moved. This provided some unique design challenges for the team as we had to change the design and thought process of our normal methods of consultation. 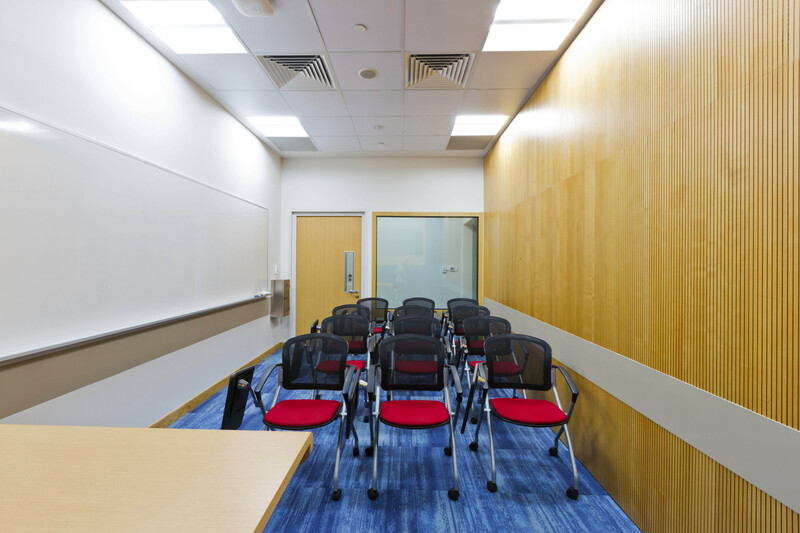 We designed a specific wall specification to match be optimally acoustic with an STC of 45. In which cases, they were well within the recommended range of a good sounding room. We also provided proper acoustic treatment filled with grooved acoustic panel for the partitioning walls. While Alex, our consultant had recommended an alternative to the HVAC system, we were not allowed to alter its existing conditions. Therefore, the quality of the sound was not as optimal as it should be. Next, we measured the background level noises for each of the spaces including the briefing rooms and the observation rooms which included a 2 way viewing mirror. This was so that the students were able to learn in the best conditions and apply their practical skills while an observation deck somewhat like a control room was placed at the corner of the whole facility for student takeaways and learning lessons. Our walls did not perform up to expectation because of the existing air conditioning system but performed well within the industry standard with an STC rating of 45. 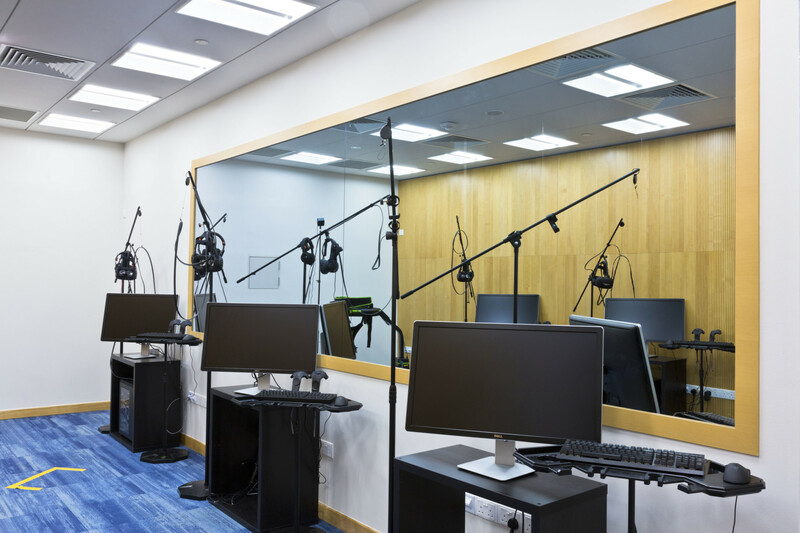 The Virtual Reality 2 way glass mirror was well achieved within the design parameters with an STC 40 rating, this could have been better performing if other elements were taken into consideration. Our report showed that the existing air conditioning weakened the performance of the partition but still within a workable range. The Reverberation Time (RT) of the control room 0.56 which was in the recommended range between o.45 to 0.6s. Virtual Reality room 1 was recommended to be at 0.45s to 0.5s , this was an empty room and with a full room or occupied , it would have hit the target. The briefing room 0.45s to 0.6s but we hit a 0.39s. This room was an interesting one because the client had a choice of flutter echoes or a more deader room. Overall, this was a first for an educational institution and a first for us. However, the experience from the whole team was an impressive one as we managed to tackle limitations with the current resources that we have to meet the demands of the customer. Do contact us if you would like to ask someone about a related space like such.